February 10, 2015 bcalvanocoachingLeave a Comment on Weekly Angel Card Reading for February 9 through 15. Weekly Angel Card Reading for February 9 through 15. 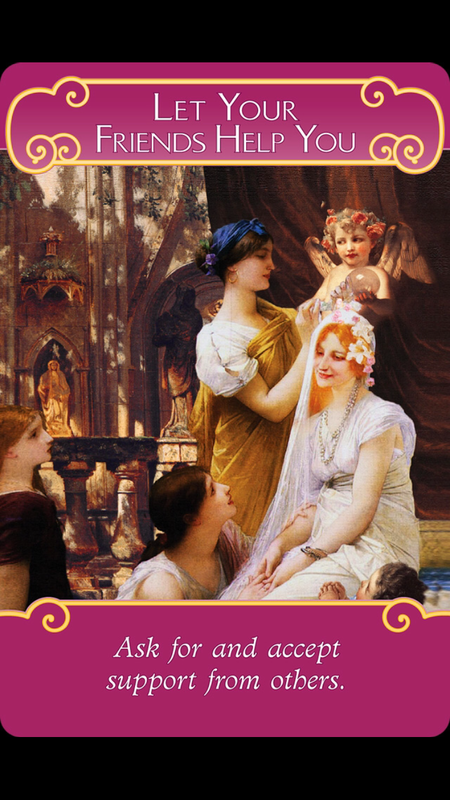 This week in honor of Valentine’s Day I was guided to use ‘The Romance Angels Oracle Cards’ by Doreen Virtue. Join me on my next live BlogTalk radio show Monday February 23rd at 1pm EST with my special guest Tina Marie Bertoli , on http://www.blogtalkradio.com/letsasktheangels Call in for a reading at 424-675-6837. Tina Marie Bertoli is an Angel Therapist®, Medium, and Licensed Spiritual Counselor, communicates with your Angels and Spirit Guides to receive Divine guidance for all aspects of your life. She channels messages of love from the Angelic and Ascended Master realms, deceased loved ones and pets. A Reiki and IET® Master Teacher, Certified Past Life and Crystal Healer, she is also a IKYTA Kundalini Yoga Instructor and host of The Tina Marie show on Blog Talk Radio and the Magic Hour on http://www.12radio.com. She writes the monthly “Celestial Realm Ask an Angel” column for Predictions Magazine, UK, writes the quarterly column for Canada’s Pure Magazine, and has produced the highly popular, “Manifesting with Archangel Michael” CD and Mp3. Tina teaches Angelic Healing and Counseling Certification Programs all over the world and was awarded the Integrated Energy Therapy® Master Teacher of the Year for 2012 and 2013. This week of Valentine’s Day we are addressing relationships, with ourselves and others. 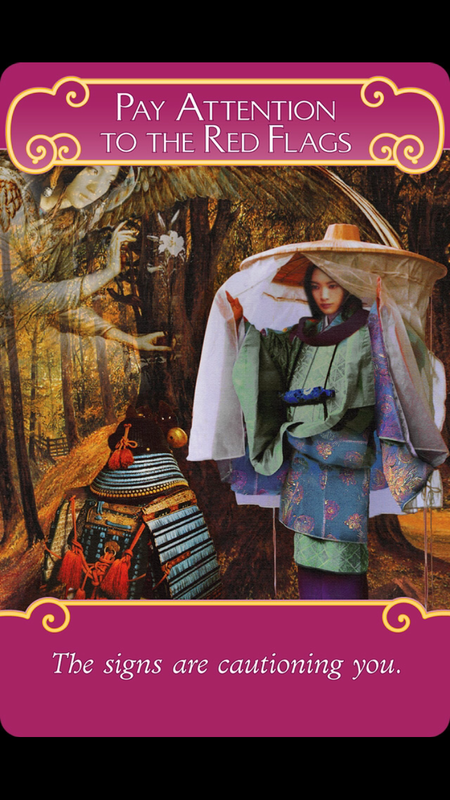 Whether you are already in a committed relationship, or are looking for one or maybe perhaps you are not interested in one at this time, the Romance Angels are with us this week to guide us in being honest and truthful in our lives. Being true to yourself is the most powerful access to creating harmonious relationships. Being at peace with our choices and goals allows us to share that pure energy with others. Your vibration of self love allows others to truly feel good about themselves, too. You deserve love. You are love. For Monday and Tuesday we have the message:’ Heart to Heart Conversations: Honestly discuss your feelings with each other.’ As I said wherever you are this week in terms of romantic love or even self love (taking care of yourself) being honest and open is very important. We often avoid feelings and emotions with ourselves and others. Many of our addictive behaviors such as over eating, staying busy and other compulsive behaviors stem from a need to avoid feeling these feelings and lower emotions. In truth they are often withheld communications to ourself and the world. If you need support there are many free programs to assist you such as Emotions Anonymous, Co-Dependents Anonymous, or Al-Anon (meetings which are held internationally and online. There are also coaches and counselors to support you. How are you with having heart to heart conversations? Here the Romance Angels are supporting you with going within and telling the truth.This may mean telling yourself if you are single that you truly want to be in a relationship with that special person. The angels are here to support us in any and all matters of our lives including conversations and healing. Allow them to support you in finding the right words and the courage to tell the truth of what really matters to you. Suffering silently not only affects you but also everyone around you –the world. Choose to be courageous and communicate! For Wednesday and Thursday we have the message: ‘Let Your Friends Help You: Ask for and accept support from others’. Here again we are guided to ask for support from others. It’s time to let others in to assist us in finding our happiness, whether it is in finding a life partner or in finding a better relationship with ourselves. Ask your friends how they found their life partner or what made their relationships work well. If you have been suffering silently as mentioned above it’s time to take the veil off the delusion and seek out people that have the relationships and self care that you admire. Staying among those who continue to complain and see life as a victim doesn’t serve you any longer. It is key to you finding your true happiness to seek out those who have mastered this area. We can easily sabotage ourselves by staying with friends who are addicted to being cynical and bitter about happiness even being possible! The romance angels are encouraging us to ask for and accept true guidance and support for our heartfelt dreams. For the weekend we have the message: ‘Pay Attention to the Red Flags: The signs are cautioning you.’ Here the romance angels continue to have us address where we may not have been willing to look or tell the truth. Often there are signals where we are uncomfortable or not in alignment with our integrity or values. We may suffer silently or we may ask for the courage and strength to communicate what needs to be said. Interesting that the our Valentine’s message is not all flowers and hearts! It is all about having rigorous honesty about what you stand for, your values, commitments and giving voice to them. If you see a red flag in a relationship- pay attention. For example, this can be from noticing how a person treats other people at a restaurant or even valet parking. This is not an accident. There may also be signs that they have addictions such as substance abuse, unresolved anger issues or lack of integrity. This does not necessarily mean you have to end the relationship. Living with the reality versus the fantasy in your mind about how you wish things were will truly impact your relationships. Red flags can be markers along the path of healing. The Romance Angels guide you to take steps that are healthy for everyone involved, so do follow your intuition. 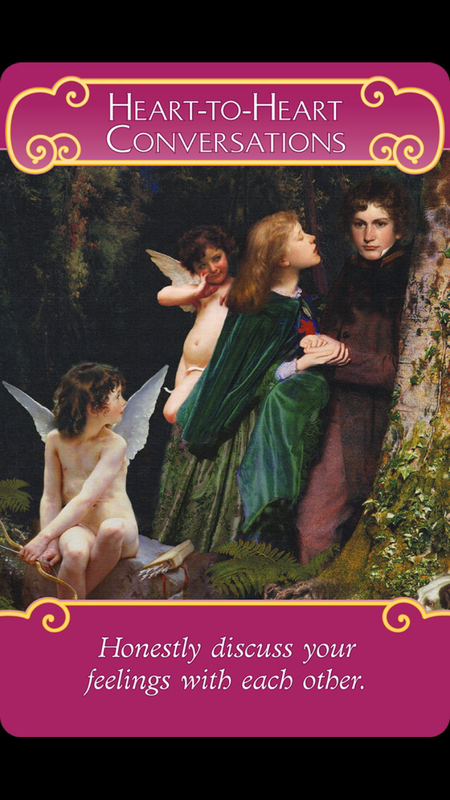 For Valentine’s week the Romance Angels guide us to be courageous and honest with ourselves and others. Self love is expressed by being truthful about your feelings with others and with yourself. We are guided to ask and allow others to support us in our life. No more suffering in silence! The Romance Angels guide you to being empowered in self love and with your free will creating wonderful relationships in your life. For a personal angel card reading and life coaching, contact me at bcalvano-coaching@usa.net for more information or an appointment. Next Weekly Angel Card Reading for February 16 through 22.